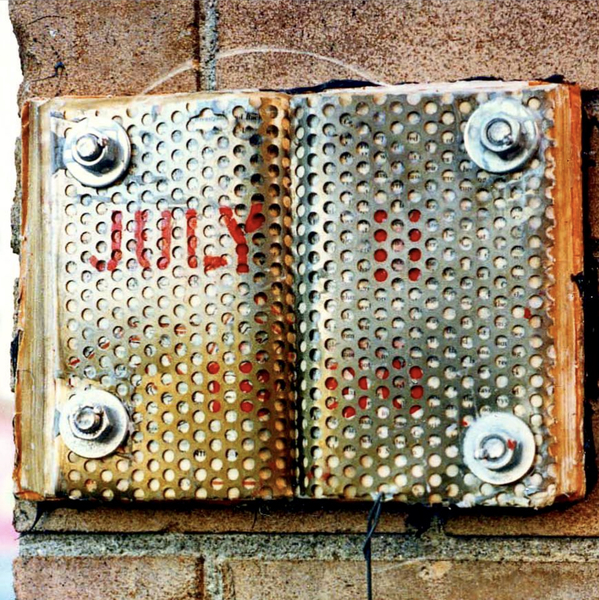 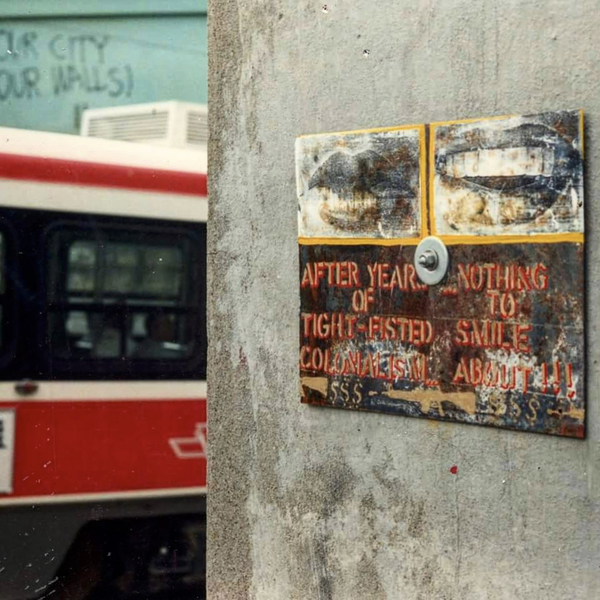 This was a painted book installed on Bathurst Street. 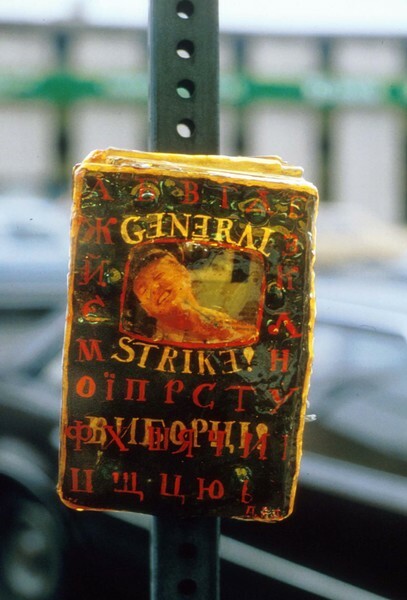 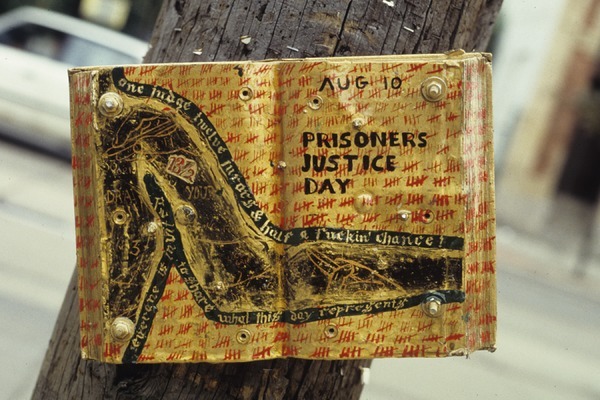 A painted book bolted to a street pole near the Don Jail in Toronto. 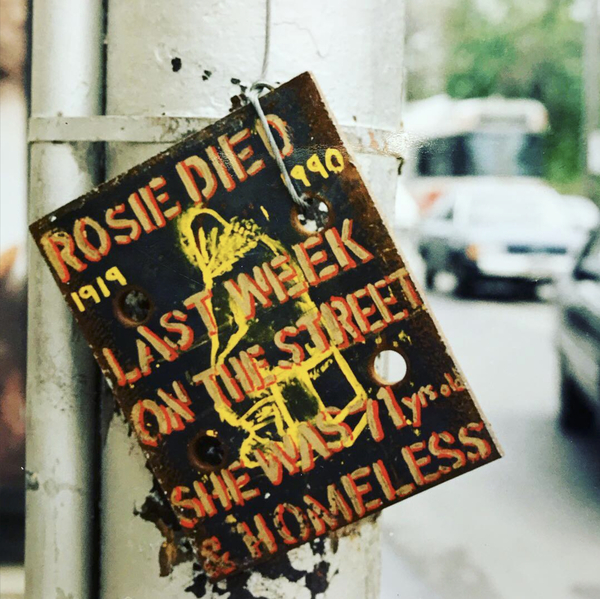 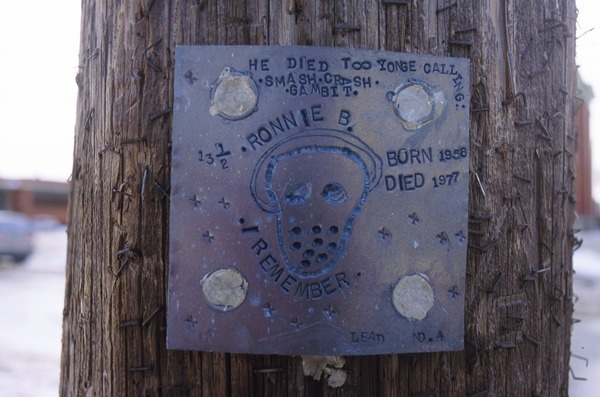 A street installed memorial on Parliament Street. 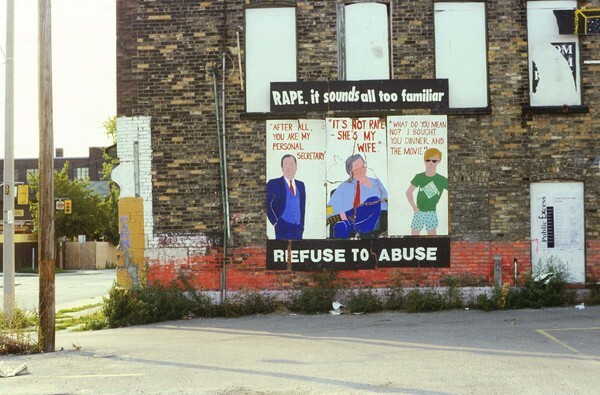 In Toronto. 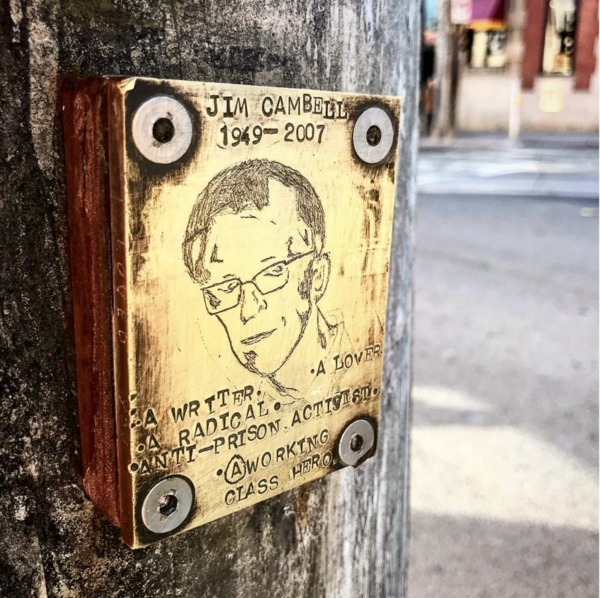 I miss Jim. 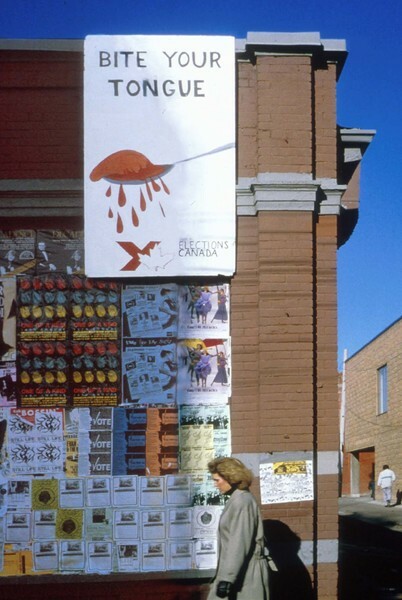 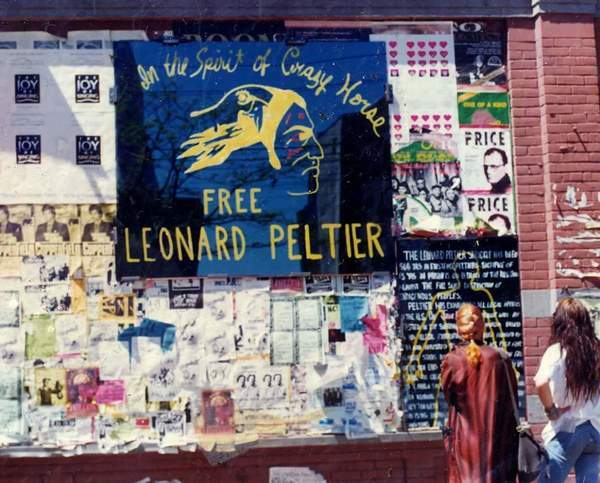 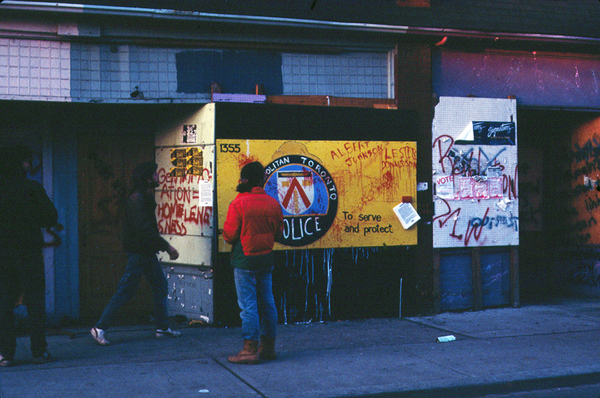 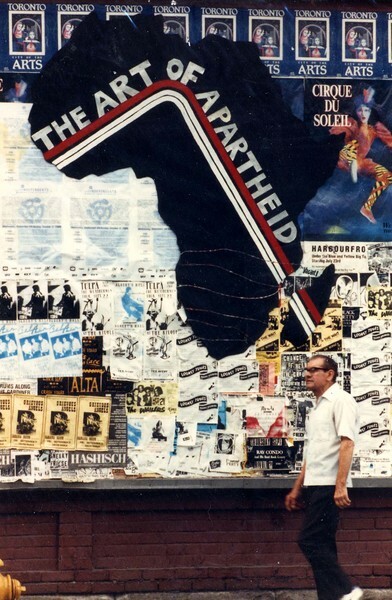 Photo from 1988 at Queen and Gladstone in Toronto. 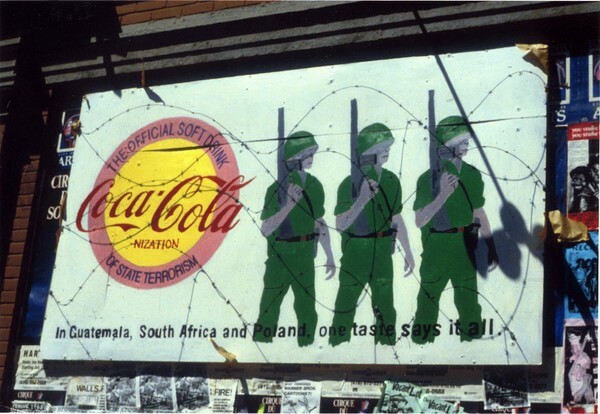 "After years of tight fisted colonialism... nothing to smile about." 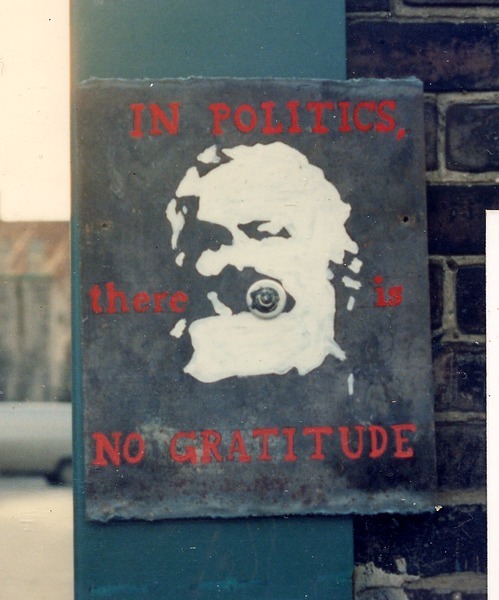 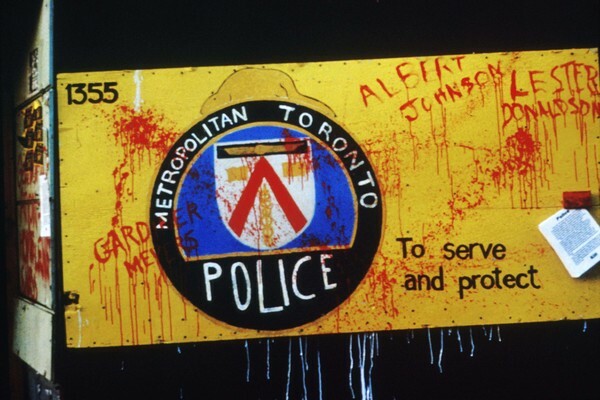 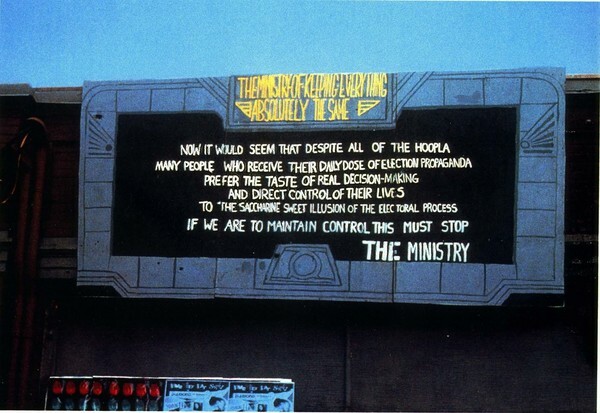 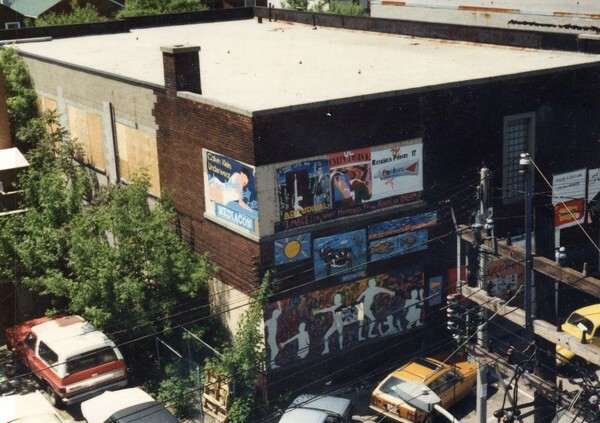 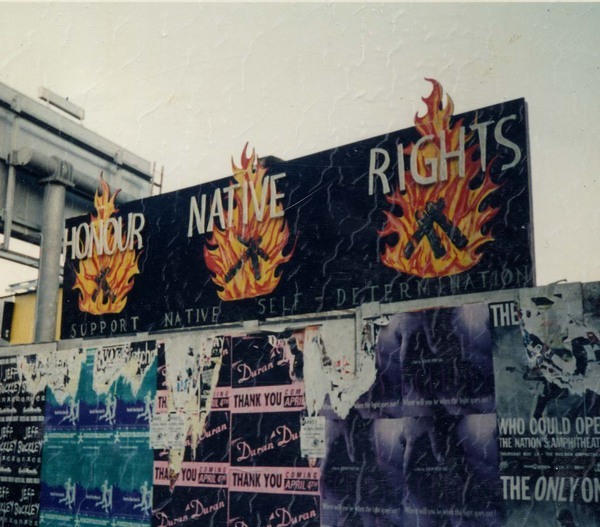 This hand painted billboard bolted to the top of an abandoned building at Queen and John was a political parody referring to the billboards for the movie 1984. 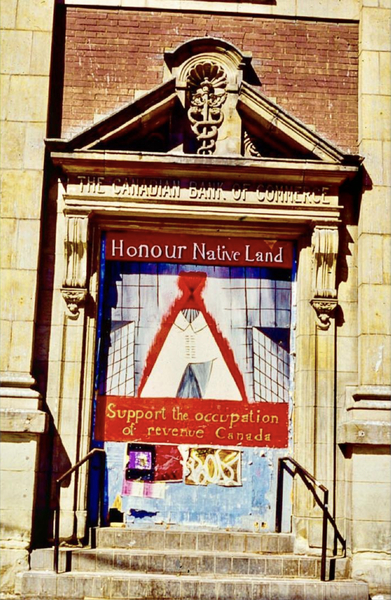 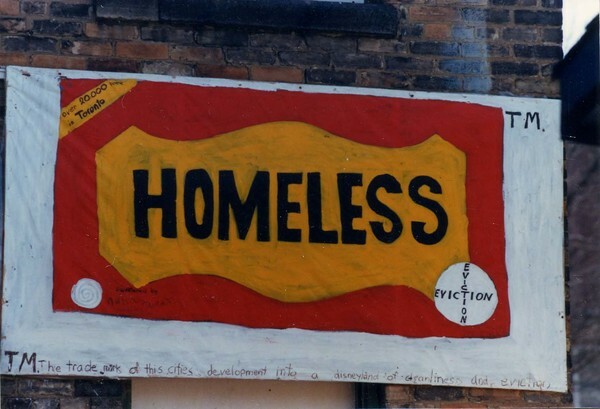 This protest banner was installed on a vacant bank at Bathurst and Queen St.
Painting mounted on boarding of empty lot near Jarvis and Queen.